No need to go outside the metro for that IG worthy photo! Now who’s up for a morning run? Put on your most stylish workout gear because the jogging path along 30th avenue can make a fashionable stop for a quick OOTD snap! Both the interiors and exteriors of this modern Singaporean restaurant will not only give you nice angles to snap your photos from, but also great lighting that needs no filters. 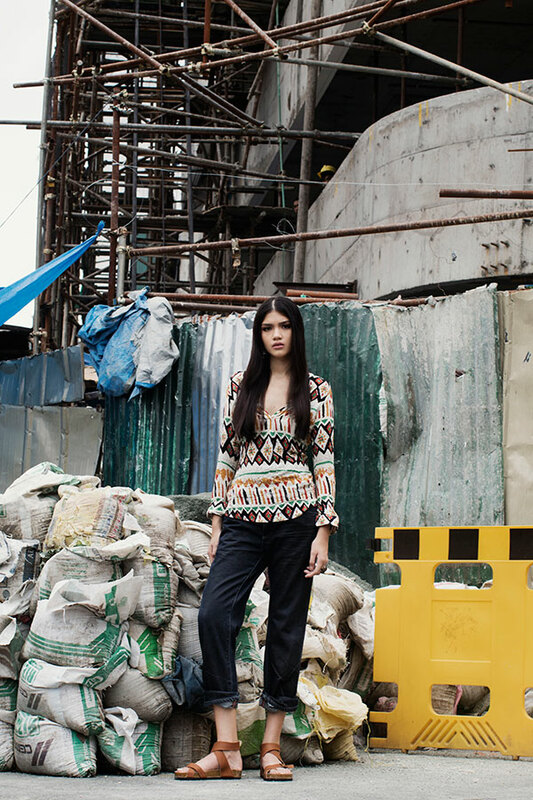 Even a construction site like the one located along Jupiter street in Makati can serve as an interesting background. Channel your inner top model and make it work like a pro. Going for that urban vibe? Cop you favorite fashion blogger’s looks and strike a pose amidst the metro’s hustle and bustle. Singapore’s Haji Lane may be oozing with street art, but there’s no need to book a flight if you’re only after its OOTD worthy backdrops. Check out this artsy graffiti wall located on 7th avenue, BGC that would look just as amazing on your IG feed. Many great fashion editorials have been shot in parking lots. Make those your pegs! Yes, you just gotta be creative with whatever props available! Longganisa burger, anyone? Hashtag #emote. Sometimes the simplest backgrounds can best make the case for double-tap worthy snaps. Located along the exterior of a hotel in BGC is a nice spot for OOTDs where you can make your outfit pop, shot against the black metal bars. All images were shot using a Canon EOS M3 with a 50mm f/1.2 lens, priced at Php25,998. Among many great features, it's light and compact, and it can be used with other lenses in the Canon EF-M range, which means you can easily take photos on the go and maximize your creativity. Plus, it has a WiFi sharing function, so photos can be easily uploaded online and shared on social media. Click here to know more about Canon EOS M3.